Milling is a crucial step in the brewing process. What is the Impact of Milling on mashing efficiency? To understand why I am asking this question it is perhaps worth starting by considering what is the purpose of mashing and what do we mean by mashing efficiency? But I think it is still a question worth posing and considering in more depth if we are going to improve our mashing efficiency. In simple terms mashing is the process by which we extract and solubilise all the good stuff in our malt. Our mashing efficiency is therefore how good we are at achieving that task. 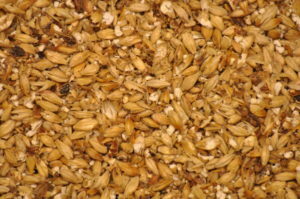 If you consider that malt is a convenient package of starch, enzymes and flavour, which is of no use to us unless we solubilise these malt constituents, it becomes clear that mashing is important. It is also important that we extract every last drop of these constituents from the malt. After all we are paying for the malt and so we need to get as much use out of it as is possible. Therefore as good home brewers we will measure our mashing efficiency and diligently record it. We will also investigate methods for improving our mashing efficiency. But here comes another question – How many of us consider the impact of milling on mashing efficiency? If you mill your own malt then I guess you may well have investigated the impact of milling on mashing efficiency but if you buy pre-crushed malt you may well have not considered it. Is there a measurable difference in mashing efficiency with different mill settings? There is an indication on our malt certificate of analysis which can help us answer this question. If you look at your malt certificate of analysis and look for the parameter – fine/coarse difference. The figure reported illustrates the difference between the extract measured using a fine mill setting compared to a coarse mill setting. 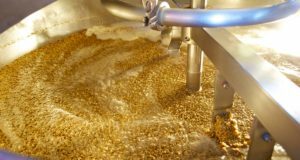 When the maltster measures the extract potential of their malt they do this by carrying out a standard mash on a malt that has been milled at a particular mill setting. That is the gap between the mill plates is pre-set so that the grist produced is standard for every mill run. Typically the extract is quoted for a mill setting of 0.7 mm that is the gap between the mill plates is 0.7 mm. The fine coarse difference is a measure of the difference between the extract measured for a mash where the grist was milled at 0.7 mm and a finer 0.2 mm mill setting. For example if the extract measured at 0.7 mm is 306 l°/kg and the extract at 0.2 mm is 308 l°/kg then the fine/coarse difference is 2 l°/kg. 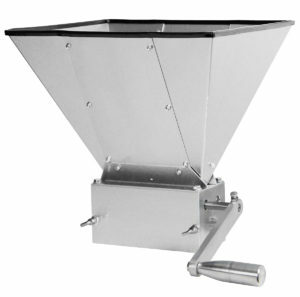 It can therefore be argued that the role of milling can be important in mashing efficiency. The humble mill is the start of the brewing process. However, is there an impact of milling on mashing efficiency? But in reality what is the real impact of milling on mashing efficiency? That is a question I want to try and answer with some results from a set of small scale mashing trials that I recently conducted. In the mashing trials I set out to understand the impact of milling on mashing efficiency by using a lab mill with 3 different grind settings (0.2 mm, 0.7 mm and 1.0 mm). Now obviously these mill settings are finer than you would normally employ certainly a 0.2 mm grind is very fine and produces a flour rather than the coarse grist we would normally use in mashing. But I chose these settings so that any differences could be clearly seen. I took a bulk standard ale malt and milled it using the three mill settings to give me three grists, one milled at 0.2 mm, one at 0.7 mm and a final coarse grist at 1.0 mm. I then mashed these using a single temperature infusion mash with a mashing in temperature of 65°C. I mashed at this temperature for 75 mins before mashing off at 78°C. I then measured the OG for each mash and fermented the resultant wort for 24 hrs at 20°C and measured the final gravity. I also measured the filtration rate for each mash to assess the impact of the milling on filtration performance. What was the influence of the different mill settings? The results were interesting but perhaps not too surprising. The table below details the results of my mash trials and demonstrates that the finer the grind the higher the OG. The data shows that as the mill grind becomes coarser so the extract decreases as measured by the original gravity. Thus from a 0.2 mm grind I achieved an extract of 1.077 which dropped to 1.075 for a 1.0 mm grind. Not a massive difference but still a loss in extract. However, as you can see from the final gravity results the change in mill setting did not have an appreciable impact on fermentation performance. This is perhaps not surprising as it is the conversion of starch to fermentable sugars which is going to be important here. 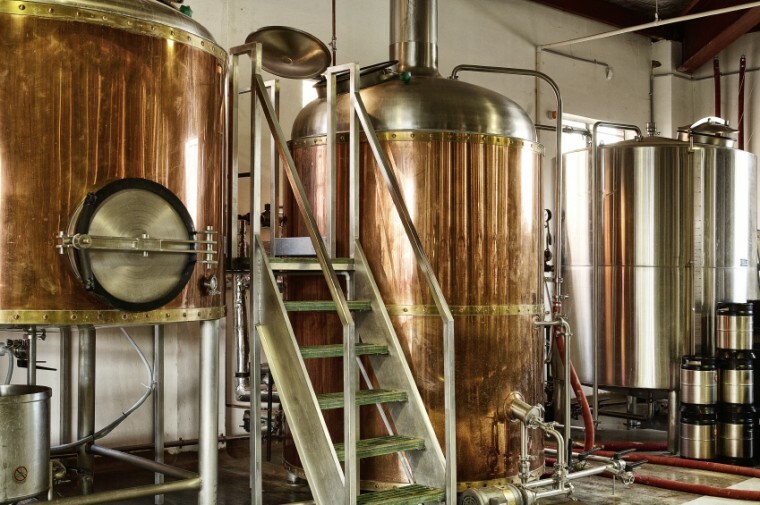 Starch conversion to fermentable sugars is more influenced by the enzyme levels in the malt and the mashing temperature rather than the coarseness of the grist. However, one thing to note is that the total degrees of fermentation (degrees of attentuation) is better for the 0.2 mm grist because of the initial higher OG, e.g. 1077 to 1.012 for the 0.2 mm grind compared to 1.075 to 1.012 for the 1.0 mm grind. Finally there is one other to parameter worth considering and that is the filtration performance. As you can imagine if you reduce the mill setting to create a finer more floury grist you may encounter wort run-off problems. Certainly from these trials there was a drop from 5 ml/minute wort run-off to 3.7 ml/min for the 0.2 mm grind. 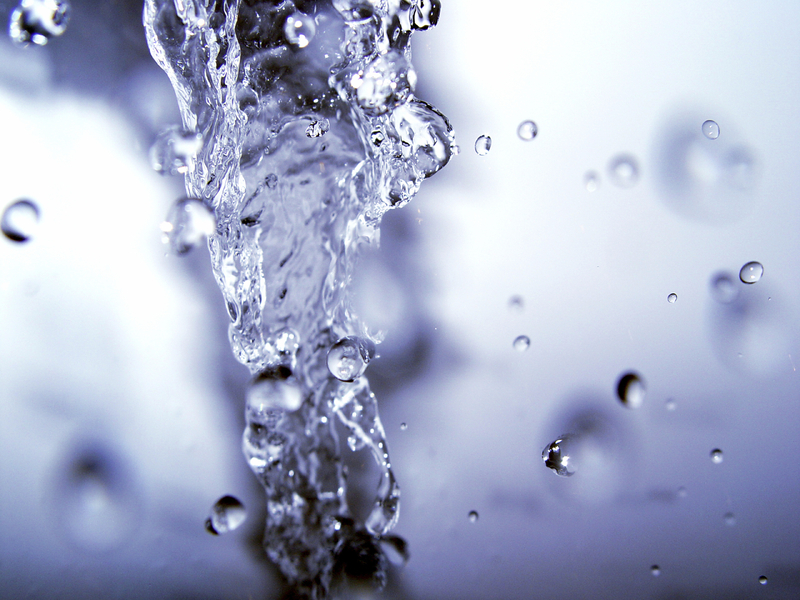 This is a 26% reduction in the filtration rate which is quite significant. Well we can see that there is an impact of milling on mashing efficiency. If we tighten up our mill settings, to give us a finer grist, we will achieve a higher extract. However, if we do this then we can expect a slow down in our wort run-off which in extreme cases can result in a stuck mash where wort run off stops completely or is painfully slow. There is therefore a compromise to be made between maximising your mashing efficiency and minimising the impact on wort run-off. Is it worth playing with your mill settings to maximise your mashing efficiency. I think it is worth playing around with your mill settings, as you may be pleasantly surprised by the results. However, just be mindful of going to fine and the impact that this has on the wort run-off rate.